As part of our therapy for periodontal disease, Divine Dental offers an effective treatment called Laser Reduction Therapy which helps control bacterial infection in your mouth. Laser is used together with scaling and root planning to significantly reduce the depth of infected pockets and prevent the progression of periodontal disease. The Laser Reduction Therapy is a laser decontamination process – it is painless and normally takes 7-8 minutes. 1. Kill periodontal disease bacteria and stop their infections. In the past, hygienists have been limited to removing hard and soft bacterial deposits within the periodontal pocket only. We now know that bacteria migrate into the underlying tissues and cannot be reached with traditional cleaning only. The laser light wavelength is able to penetrate these tissues and thermally dehydrate the biofilms. Dehydration is lethal to bacteria, thus greatly reducing the potential for infection and loss of attachment of the gums to the teeth. 2. Prevent cross-contamination of infections in one area of your mouth to other areas. Decontamination minimizes the chance that we may inadvertently pick up a bacterial infection in one area of your mouth and move it to others. 3. Reduce or eliminate bacteremias. During the normal cleaning process, most patients will have some areas that bleed. This allows bacteria that are present in all our mouths to flood into the bloodstream (bacteremia). Latest research shows that oral pathogens have now been linked to a number of other diseases such as cardiovascular disease, rheumatoid arthritis, low weight babies, diabetes, Alzheimer’s, etc. Anything we can do to reduce or eliminate these bacteremias is a positive treatment for our patients. You should also know that Laser Reduction Therapy is not a cure for periodontal disease. Once a bone is lost to periodontal disease and their bacteria, no treatment or medication will bring it back. For periodontal therapy to be successful, you will need to be very thorough with your daily oral hygiene and come see us regularly for exams. 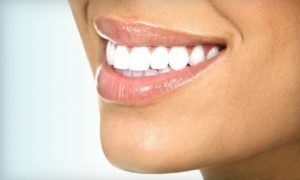 Laser Reduction Therapy is an important part of the overall periodontal therapy program that we have designed for you to restore health to your gums.